The word gargoyle and the word gargle, coming from the old French word for throat, gargouille. 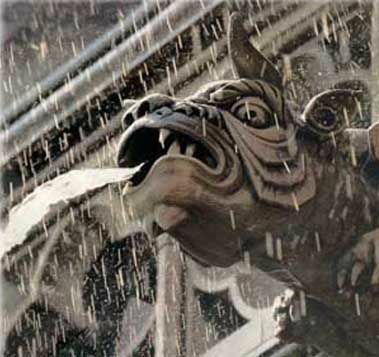 A true gargoyle is a waterspout and is used to remove water from the top of a building like a rain gutter. Other unusual carved creatures on structures are called grotesques.